Our firm belief lies in nurturing healthy psychosom of child, a healthful surrounding and happy aura that plays a vital role which can only be provided in a home away from home i.e. Vedaant Vidhyakulum. With the right ambience and pristine surrounding of our school, we aim to provide students with expert guidance to shape a better future and a better tomorrow. The true soul of Vedaant Vidhyakulum is the relationship between teachers and the students – the bond they develop at campus. 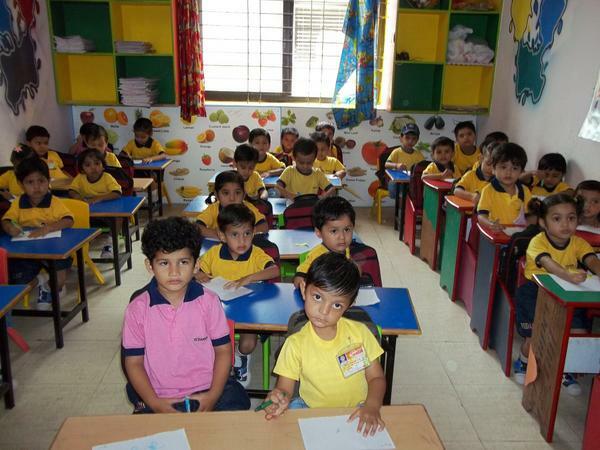 Vedaant Vidhyakulum has a flexible boarding facility which is one of the many distinctive features of the school. The school offers daily, weekly and term boarding facilities to students keeping in mind the holistic and comprehensive development of the students. This graph represents the trust and faith that our parents have had in Vedaant from the very beginning of this institute. Every child is born creative. The one thing which is inherently instilled in every person from birth is creativity. © 2017 Vedaant Vidhya Kulum. All Rights Reserved.